House lawmakers told company executives and NASA officials that they “cannot afford to cut corners” in attempting to prevent a potential gap in U.S. access to the space station during a space subcommittee hearing Wednesday. It’s been a long process to get to this point. Schedule delays have pushed back the first crewed tests of the new astronaut transport capsules being built separately by Boeing and SpaceX under NASA contracts. And the two companies must still complete additional testing and address lingering safety concerns before reaching that milestone. On Wednesday morning, one message from lawmakers was clear: Safety is paramount. Rep. Eddie Bernice Johnson, D-Texas, ranking member of the House Committee on Science, Space and Technology, warned company executives and NASA officials during a space subcommittee hearing that they “cannot afford to cut corners” in attempting to prevent a potential gap in U.S. access to the space station. The U.S. contract with the Russian space agency to take U.S. astronauts to the space station will end in 2019. That’s the same year NASA is set to certify the SpaceX and Boeing vehicles for service — though a U.S. Government Accountability Office official warned that the certification date was “likely to slip” to December 2019 for SpaceX and February 2020 for Boeing. The U.S. currently pays about $70 million to $80 million per seat for astronauts to ride to the space station on a Russian Soyuz vehicle. Lawmakers were also resolute about the delays that have pushed the test flights back. The two companies were originally set to certify their capsules for operational missions by 2017. Boeing and SpaceX executives were grilled by congressional leaders Wednesday on safety concerns. They sought more information about the United Launch Alliance Atlas V rocket that will launch Boeing’s CST-100 Starliner capsule, as well as about previous incidents with SpaceX hardware and plans to have astronauts aboard the Crew Dragon capsule while the Falcon 9 rocket is loaded with fuel. The commercial crew program represents a change for NASA. In the past, the agency would award contracts to private companies to build NASA-designed vehicles and spacecraft. With this program, NASA will instead buy a service, rather than the vehicle — much like the contracts it awards to private companies to ferry supplies to the space station.This could serve as a model for future collaboration, allowing commercial enterprises to gain more experience and expanding into new services that may have once been the purview of government, said David Barnhart, director of the space engineering research center at the University of Southern California. “I tend to think it’s the future, in that government elements will procure services that are not necessarily research or far-out innovations,” he said. 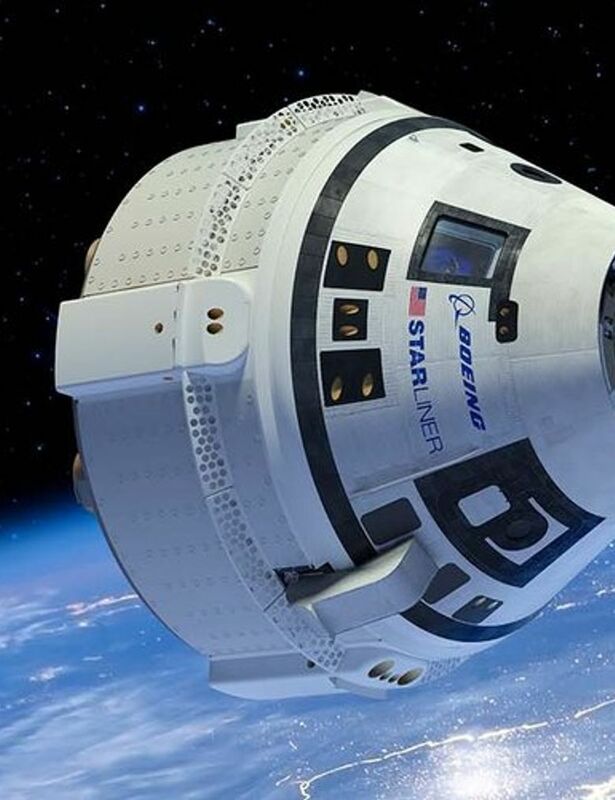 Boeing’s Starliner capsule and SpaceX’s Crew Dragon are set to fly without any crew in August. Boeing’s first crewed test flight is currently scheduled for November, with SpaceX following one month later. The hearing comes just under two weeks after SpaceX launched the classified Zuma satellite, which was reportedly lost. Northrop Grumman, the satellite’s builder, has said it would not comment on classified missions. When asked about the mission at the hearing, SpaceX reiterated its message that the Falcon 9 rocket “performed very well” and that the company was continuing with its other missions.